Everyone has the potential to become a success today. John Maxwell reveals the three essentials to achieving it. For nearly three decades, John C. Maxwell has been among the world's most sought after and respected authorities on success and leadership. This abridgement of his best-selling Your Roadmap for Success zeroes in on the three things that create a formula for success. But there's one thing that needs adjusting first: the way you look at success. 3 Things Successful People Do is not a book about successful people it is a book for successful people, especially those who may not realize they are already on the way to success. Everyone has the potential to become a success today. 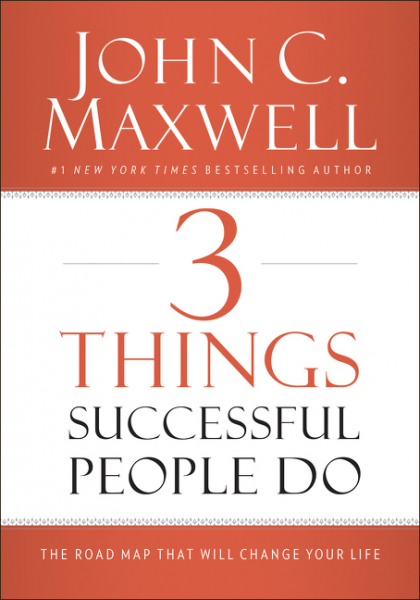 John Maxwell reveals the three essentials to achieving it.